Help, how to topics > How to change field names? 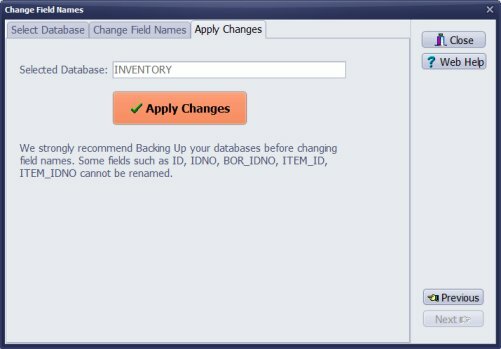 We recommend backing up your databases before changing field names or any configuration files. 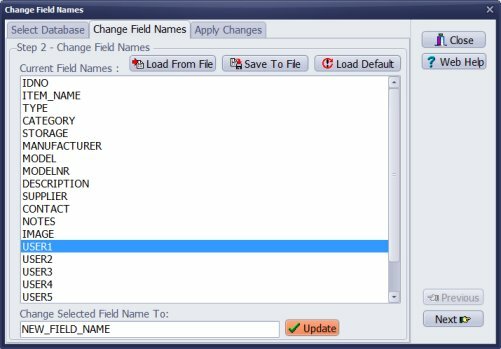 Some fields such as ID, IDNO, BARCODE, STATUS cannot be renamed. 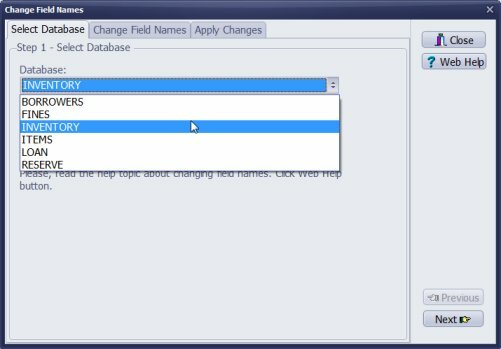 Review databases and field names. Open Change Field Names window. Modify other data fields or click Next.